« 132 People Provided 60% of SuperPAC Funding in the last election!!! PLEASE! 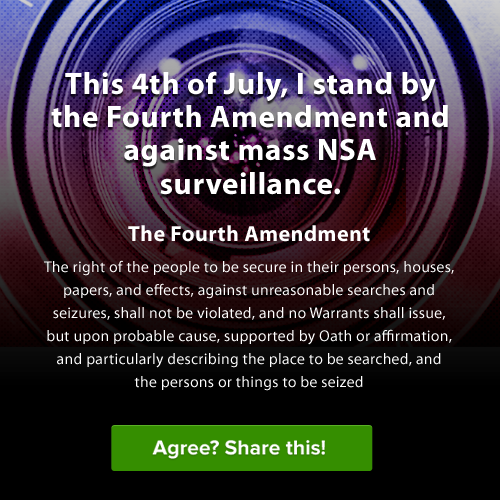 Stand By the 4th Amendment & Against Mass Surveillance! This entry was posted on July 4, 2013, 11:19 and is filed under Misc. You can follow any responses to this entry through RSS 2.0. Both comments and pings are currently closed.